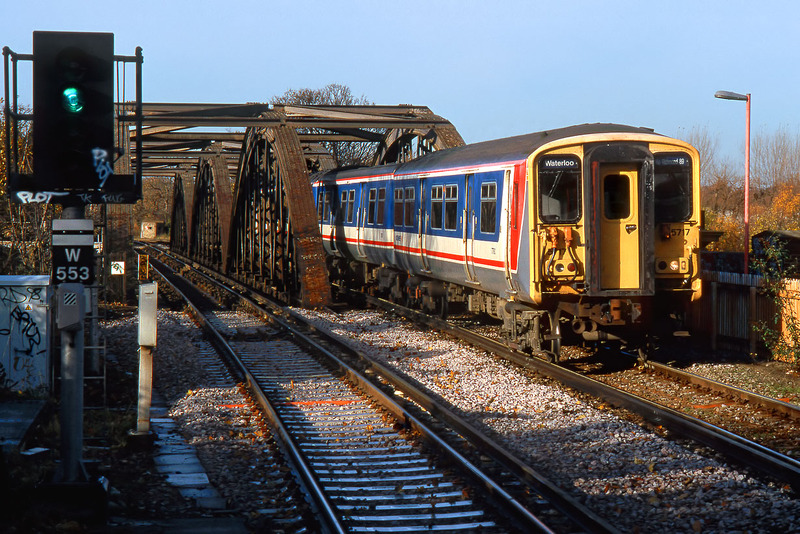 Class 455 5717 is crossing over the River Thames as it arrives at the appropriately named Barnes Bridge station on 27 November 1999. It is working one of the numerous Waterloo to Richmond circular trains, in this case the 11:17 departure. The outward route is via Richmond, returning via Hounslow. Shortly after departing from Barnes Bridge, this train will rejoin its outward route.